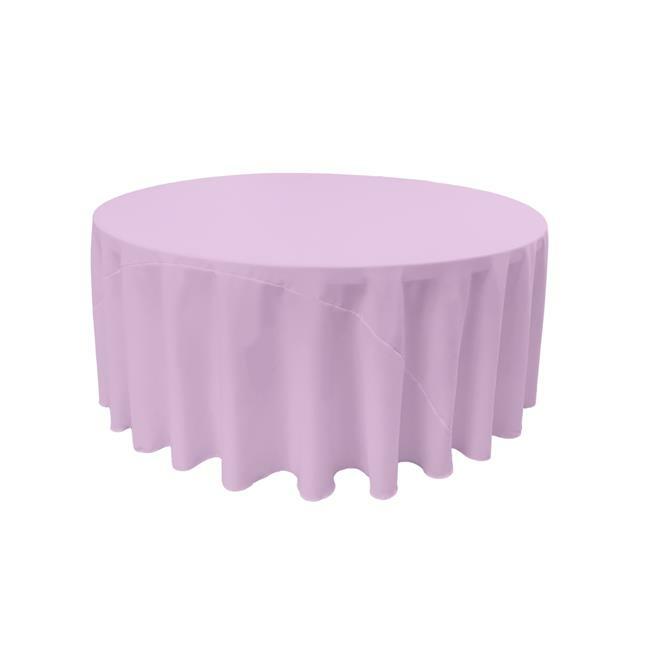 Our 132'' round tablecloth is used as a floor length cover on a 72'' round table (seating 10 to 12 chairs). The tablecloth would reach all the way to the floor for a classic formal look. The tablecloth is made with 100% Polyester Poplin, which is one of the most durable fabrics in the market and is wrinkle and stain resistant. The tablecloth is made in 3 panels in a symmetrical pattern to ensure the size to be 132'' round and that the tablecloth would remain perfectly round and to the size after years of use and wash. This tablecloth is made in our factory in USA, to the highest standards. The seams are made with a 5 thread over lock machine for durability. The edges are serged for a clean look.